Nissan USA announced the pricing for the 2017 GT-R Premium performance car and it’s going up a lot. The new price is $109990 (excluding destination, $1,595) which is a significant increase of $8,220 over the 2016 model. What do performance enthusiasts get for the price increase? Is it justifiable? The 2017 GT-R's exterior also receives a complete makeover. The new "V-motion" grille has been enlarged to help provide better engine cooling for Godzilla’s high-performance V6. The grille also features a matte chrome finish and an updated mesh pattern. The hood gets revamped too with new lines and reinforcements for enhanced stability at high speeds. The front spoiler lip and front bumper also gets tweaked for generating high levels of front downforce. The interior of the new GT-R gets a lot cushier with upgraded materials. Is the cabin too cushy? Read about the cabin enhancements here. 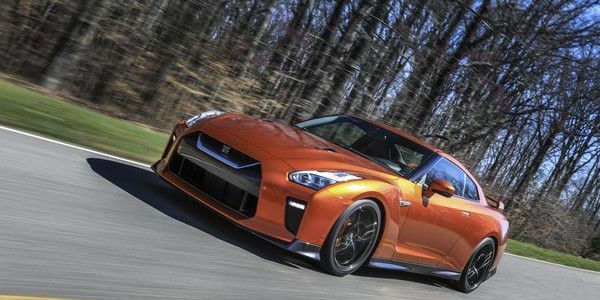 The price bump for the 2017 Nissan GT-R Premium is significant. The improvements over the outgoing model are substantial and do justify the increase in price. It’s the price performance enthusiasts pay for the most significant makeover since Godzilla’s launch in 2009.